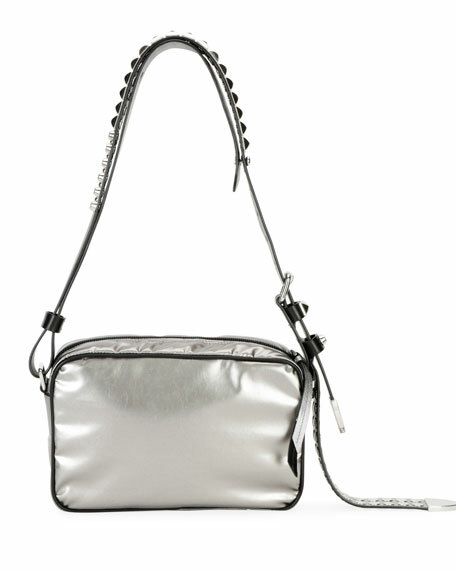 Prada metallic nylon shoulder bag with studded leather trim. 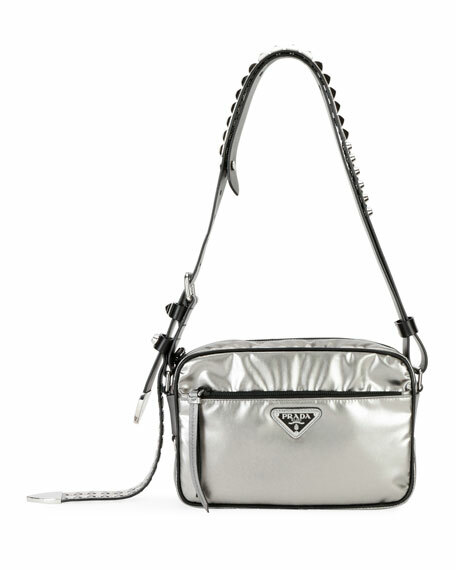 Prada shoulder bag in pebbled daino leather. Removable crossbody strap. Flap top with oversized logo lettering. Hidden magnetic closure. Inside: logo jacquard lining; two open compartments; one zip and one slip pocket. 5.5"H x 7.9"W x 1.8"D. Made in Romania. Prada small calf leather bag with golden hardware. 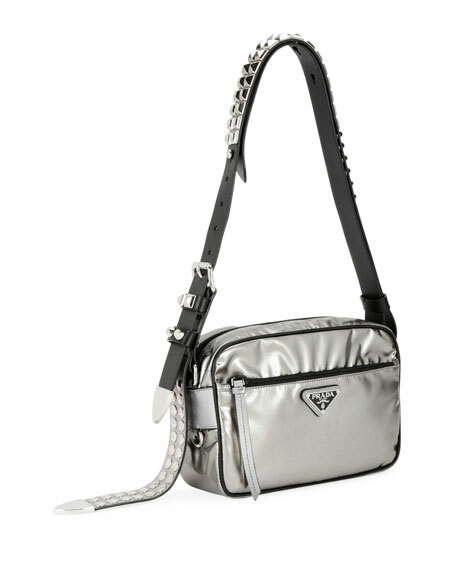 Sliding chain and flat shoulder strap, 21" drop. Flap top; bar secures center tab. Exterior, front logo detail. Leather lining, two compartments. 5.5"H x 8"W x 3"D. Made in Italy.